Shaker Group, the exclusive manufacturer and distributor of LG Air Conditioners in Saudi Arabia, has opened a new production facility in partnership with LG. Located in Riyadh, the new production facility will manufacture high-performance multi-fan air-handling units (AHU). The total AHU market size in Saudi Arabia is estimated at SR600 million. 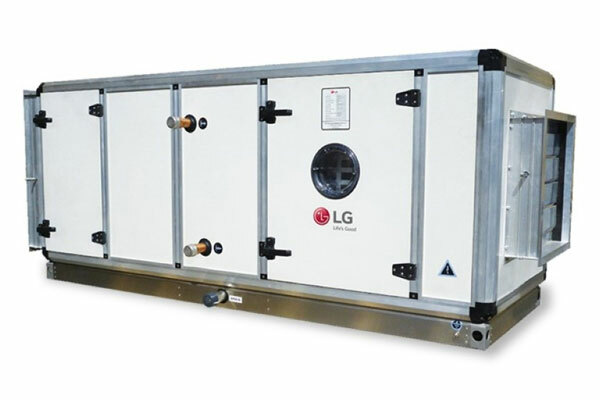 The new facility represents an important milestone for Shaker Group and LG’s long-term strategic partnership, as the joint venture between the two companies expands to include the manufacturing and distribution of AHU units. The facility will improve delivery time by leveraging Saudi production and will support Saudi Arabia’s Vision 2030 in its aim to enhance local manufacturing and industrial self-sufficiency. The factory will allow Shaker Group to supply customers in the kingdom with specialised AC solutions, ensuring better quality control and wider specification coverage in the market. As Saudi Arabia seeks to improve the energy efficiency of public and private sector buildings, the new manufacturing facility will supply customer and project segments of varying type, including education, residential, industrial, healthcare and retail. The production and distribution of AHU products in the Saudi market complements Shaker Group’s wide-ranging product portfolio, which includes VRF, Screw Chiller and Centrifugal Chiller products. In addition to growing sales to large-scale projects, the group is also looking to service specialised customers such as hospitals, laboratories, clinics and food manufacturers, who require tailored AC solutions.